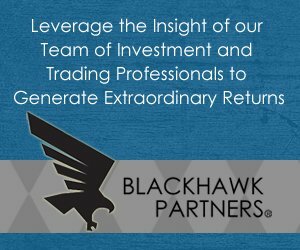 One investment strategy we at Blackhawk Partners have been particularly been involved in over the last few years is “Event Driven Investing”. Event-driven investing is an investing strategy that seeks to exploit pricing inefficiencies that may occur before or after a corporate event, such as a bankruptcy, merger, acquisition or spinoff. To illustrate, consider what happens in the case of a potential acquisition. When a company signals its intent to buy another company, the stock price of the company to be acquired typically rises. However, it usually remains somewhere below the acquisition price—a discount that reflects the market’s uncertainty about whether the acquisition will truly occur. That’s when we enter the picture. We will analyze the potential acquisition—looking at the reason for the acquisition, the terms of the acquisition and any regulatory issues (such as antitrust laws)—and determine the likelihood of the acquisition actually occurring. If it seems likely that the deal will close, we will purchase the stock of the company to be acquired, and sell it after the acquisition, when its price has risen to the acquisition price (or greater). This entry was posted in Blog and tagged Blackhawk Partners, Event Driven Investing, investing strategy on November 17, 2015 by Ziad K Abdelnour.